Jubilees 11 is a narrative-genealogy for Abram. The births of Serug, Nahor, Terah and Abram are narrated. 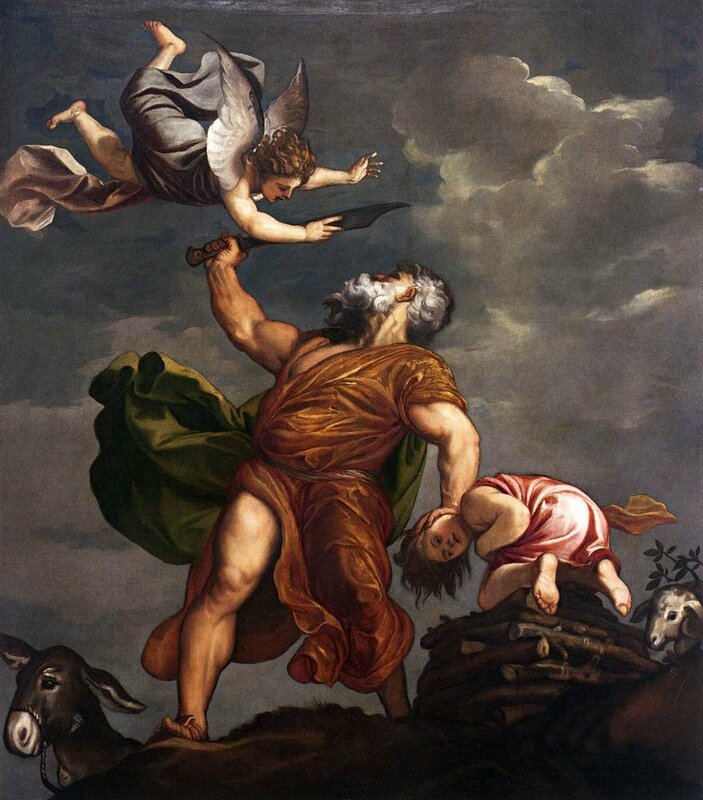 The period leading up to the time of Abram’s birth is a terrible time, but Abram is a righteous man who separated from his father over the worship of idols (cf. the Apocalypse of Abraham). Abram first stays at Bethel before moving on to Hebron (ch. 13). As in the Genesis account, he goes into Egypt during a famine and pharaoh takes his wife (no mention of the lie that made this possible.) After returning to Bethel he and Lot separate and there is a notice of the wickedness of Sodom. After Abram rescues Lot from the invading kings he tithes, but there is a missing section here – Melchizedek is not mentioned although he would have been of interest to the author as a “priest of the God Most High.” One wonders if the Qumran community had a complete text since they had an interest in Melchizedek. Jubilees 14-15 tracks closely to Genesis 15 and 16, with very little unique material. It is at a festival of the first fruit that the Lord appears to Abram and reestablishes the covenant and changes his name to Abraham. Because circumcision is given as a sign in the Genesis story, the author of Jubilees deals with the law of circumcision (15:25-32). Circumcision is a commandment written in heaven on heavenly tablets. It is to be done on the eighth day for all Israelites, but not for descendants of Esau or Ishmael. No one is to be exempted from this law, but the Lord also predicts the nation will become lax in following this law as well. Those who do not circumcise their children are called “sons of Beliar” (15:33-34). Since circumcision is such an important issue for the Jews that the early Church struggled with the ritual (Acts 15 and Galatians especially.) If this sort of thinking represented by Jubilees was popular in the first century, we may have some light on the strong reaction against Paul’s teaching that Gentiles were not to be circumcised. The story of Sarah’s laughter follows the biblical model closely, although the destruction of Sodom and Gomorrah is briefly described (ch. 16). The reason for the judgment is fornication, which causes pollution on the earth. When Isaac is born, the Lord appears to Abraham and repeats the covenant once again (the biblical account places the third repetition later in Abraham’s life.) Abraham celebrates the Feast of Booths after Isaac is born and makes a sacrifice to the Lord, after which the Lord says he has “eternally blessed” the seed of Abraham. This is another example of the writer placing later Jewish festivals early in the history of the world. In Jubilees 17:1-14 – Isaac is married, Hagar is banished, and the story moves quickly to the Binding of Isaac (17:15-18:19, cf., Genesis 22). While the actual story is quite similar to the Genesis, the introduction is radically different. Instead of the Lord deciding to test Abraham it is Prince Mastema (Satan.) The prologue in 17:15-18 is modeled on Job as the Lord boasts over Abraham to Prince Mastema, who responds as Satan did in the Job story. It is this Prince Mastema who suggests Abraham sacrifice his only son. The last line of chapter 17 is important – Abraham was “not slow to act because he was faithful and a lover of the Lord.” When the Lord stops Abraham, it is Prince Mastema who is shamed (18:12). Sarah’s death is recorded as in the biblical material and the story of the marriage of Isaac and the birth of Jacob and Esau is very brief (ch. 19). What is unique is Abraham’s continued involvement in the family. It is Abraham who loves Jacob more than Esau and convinces his mother to favor him. Jacob receives a special blessing from his grandfather Abraham and we are told that he will be the son of the promise. Abraham’s farewell “testament” appears in chapter 20, despite his life continuing until chapter 23. This speech has the usual warnings against fornication, but includes a long condemnation of the Gentiles. The relationship of Jews and Gentiles at the turn of the era is difficult to assess, but the stream of Judaism represented by Jubilees has a strong anti-Gentile prejudice. In chapter 21 Isaac receives a special blessing from his father, although the content is not at all what we might expect. Rather than a moral exhortation, Isaac receives instructions on the proper method for animal sacrifice including a list of approved woods for the burnt offering and ritual washing. Abraham grounds this teaching in the words of books from Enoch and Noah, making the sacrifices discussed here ancient indeed. They are in fact very much like what is found in Leviticus (there are several references to Leviticus in the margin of OTP for this chapter.) The practice is not, however, copied straight out of the Old Testament, implying that we are reading the practice of the period of the writer, or at least his opinion of how it ought to be done. Abraham celebrates the feast of first fruits and blesses Jacob in Jubilees 22. In this lengthy blessing Abraham tells his grandson he will rule over the seed of Shem and that he will be blessed as was Noah and Adam, but only if he keeps the “commandments of your father Abraham.” The following section is yet another condemnation of Gentiles and their practice of idolatry.